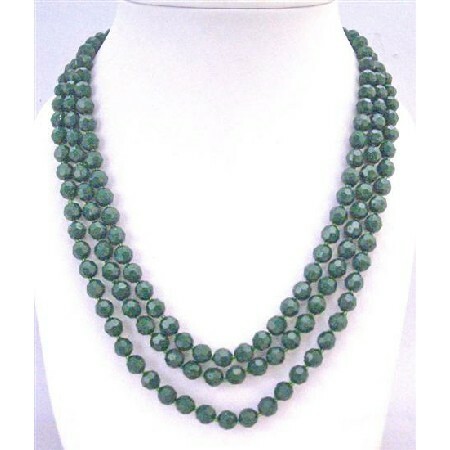 This magnificent can wear as Two or Three Stranded necklace features 8mm Multi Faceted Dark Green Beads Long Necklace absolutely incredible at affordable price 64 inches long necklace striking & stunning. A cluster of iridescent multifaceted glass beads Long Necklace dresses & would look pretty with many of dresses. Celebrate your individuality. Variations in the color & pattern of each beads add the beauty to the necklace.